It’s THURS-DIY and it’s time to get INSPIRED by my crafty friends. 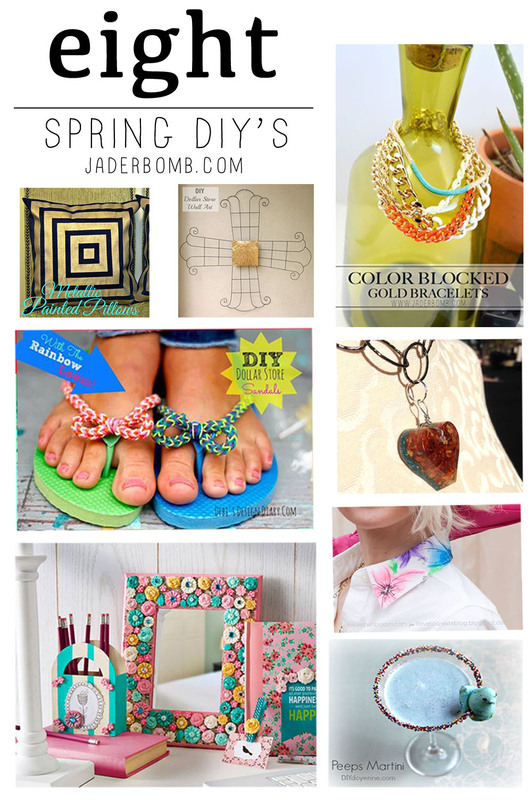 This week we have 8 Spring Diy’s that are a mix of spring, chic, and just pure fun. Click the links below the picture to see how each craft was made! Trust me they are all so much fun! I hope you enjoyed all of these great tutorials! Make sure to hop over to each one and check them out. See ya in the next post!